There has been a lot of talk about ways that the industry will shift once Walt Disney Studios’ merger with 21st Century Fox becomes complete. 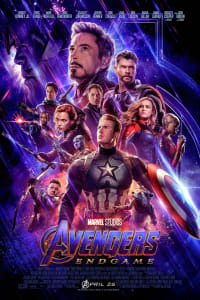 While there is plenty of uncertainty on the business side, the creative avenues have been bubbling with excitement over the possibilities, particularly in the Marvel Cinematic Universe. In case you are unaware, Fox owns the rights to major Marvel Comics characters who are not able to appear in Marvel Studios films. Spider-Man was a character who, similarly, was owned by a different studio (Sony), but was able to join the MCU in CAPTAIN AMERICA: CIVIL WAR after Disney and Sony worked out a content-sharing partnership. Once Disney acquires Fox, Marvel Studios essentially will be able to introduce several exciting classic characters into the Marvel Cinematic Universe, likely changing the landscape of the MCU as we know it and opening the door to countless exciting storytelling opportunities. Marvel President Kevin Feige recently admitted to MTV News while attending the Golden Globes that Marvel will acquire “hundreds of names” of classic Marvel characters that currently belong to Fox and that he has been dreaming of ways to use them for the past 20 years. Where could Marvel go if and when the deal between Disney and Fox is finalized? Let’s run through a few key options. Fox tried multiple times to get the Fantastic Four off the ground. The studio found mild success with director Tim Story’s two movies in 2005 and 2007 (which actually cast eventual CAPTAIN AMERICA star Chris Evans as the Human Torch). But the rebooted FANTASTIC FOUR in 2015 didn’t connect with the fan base, and Marvel’s classic superhero team went back on the shelf. Many Marvel fans believe that Kevin Feige and the creative team at Marvel Studios need to take a swing at adapting the Fantastic Four to the big screen before it can be deemed impossible to translate their powers. 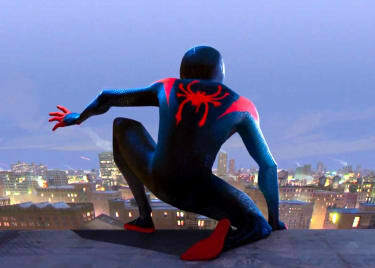 Marvel saved Spider-Man (Tom Holland) after the last Andrew Garfield-led installment of THE AMAZING SPIDER-MAN underperformed at the box office. Adding Reed Richards, Sue Storm, the Human Torch and the Thing to the MCU would open up so many portals to space-based adventures with the team, and they could easily fill any void left behind by AVENGERS movies that might not be made if Chris Evans, Robert Downey Jr. and Chris Hemsworth actually retire. Outside of the Fantastic Four, the other blue-chip franchise that would transition over to Marvel Studios has to be the X-Men. This means that after a string of popular and successful films that have included X-MEN: DAYS OF FUTURE PAST and numerous standalone Wolverine films, the MCU could take their own pass at versions of Professor X, Magneto, Storm, Cyclops, Nightcrawler, Jean Grey, Beast — and, yes, Weapon X himself. That would immediately solve the problem Fox was facing in the wake of Hugh Jackman’s retirement. Moving the X-Men to the MCU would allow Marvel Studios to completely wipe the slate clean and start over in the world of mutants, opening the door to endless possibilities of stories that could be told within that universe. The mutants of the X-Men feel like outsiders in the realm of Marvel Comics. But they are about to be included in the much-larger Marvel Cinematic Universe, once the Disney-Fox deal goes through. The X-Men, as a core team, likely will get their own MCU movie. But tied to the X-Men, and their character rights, are a slew of associated figures that currently belong to Fox, but could find their way into the MCU. 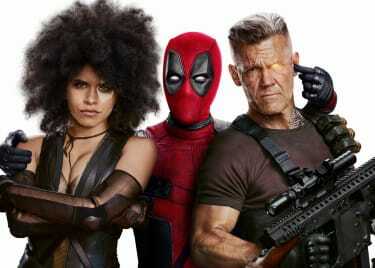 This includes Deadpool, Cable and Domino — as introduced in the recent DEADPOOL 2 — as well as the X-Force team that the trio planned to form. It’s unclear at the moment if Ryan Reynolds would continue to play Deadpool for Marvel Studios. Many likely assume that Marvel will recast any and all characters that they bring over to the MCU. But with Reynolds, he’s so tied to the role of Deadpool, he’s the one person we could see Marvel holding onto, because he works so well in the part. 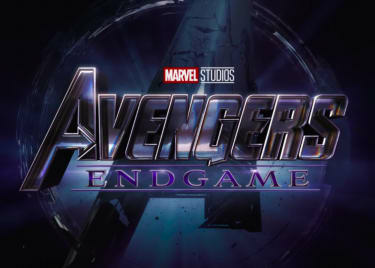 One thing that Marvel Studios desperately will need following the conclusion of April’s AVENGERS: ENDGAME is a worthy villain. And in the Fox acquisition, they are going to get one in Doctor Doom. The megalomaniac has been a thorn in the side of the Fantastic Four for decades. But Doom also has tangled with virtually every hero in the Marvel Comics universe and, if used properly, could be a devastating antagonist in multiple franchises across the entire MCU. Marvel Studios really knocked it out of the park when they cast Josh Brolin as Thanos. He has been a daunting, intimidating and terrifying force to contend with, and Doctor Doom has that type of potential. While everyone is very excited about all of the heroes who suddenly will be available to Marvel after the Fox deal, we have our eyes set on this particular villain, because he could be a game changer on this powerful playing field. The business deal between Disney and Fox hasn’t been finalized, but Marvel Studios appears ready to spring into action once these classic Marvel characters are made available to the film side. 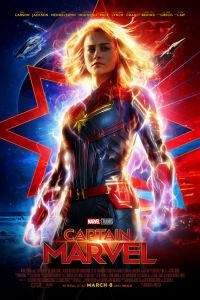 Until that happens, we will have CAPTAIN MARVEL to look forward to in AMC theatres on March 8, followed by AVENGERS: ENDGAME on April 26.